Are you handy with a paint brush and would like to contribute by making an amateur boxing club an inviting place for young people to have somewhere to go and learn new skills? The Selby Centre is a Community Centre in Tottenham, providing a variety of services to a diverse community in one of Londons areas of high deprivation. 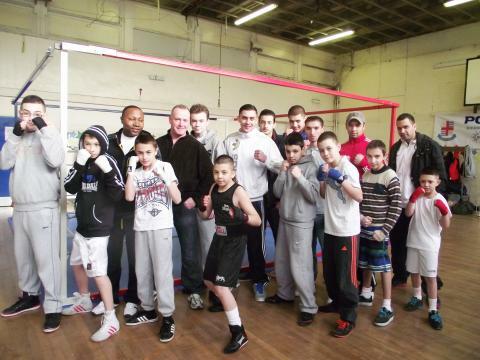 The centre are working with professional boxers and a boxing coach to provide a place for young people to learn and develop talents through an activity that promotes social integration, adopting fitness, body management, a healthier lifestyle and a chance to meet other young people in a positive and fun environment. The young people will also learn valuable life skills such as the ability to understand mood and strategic thinking.